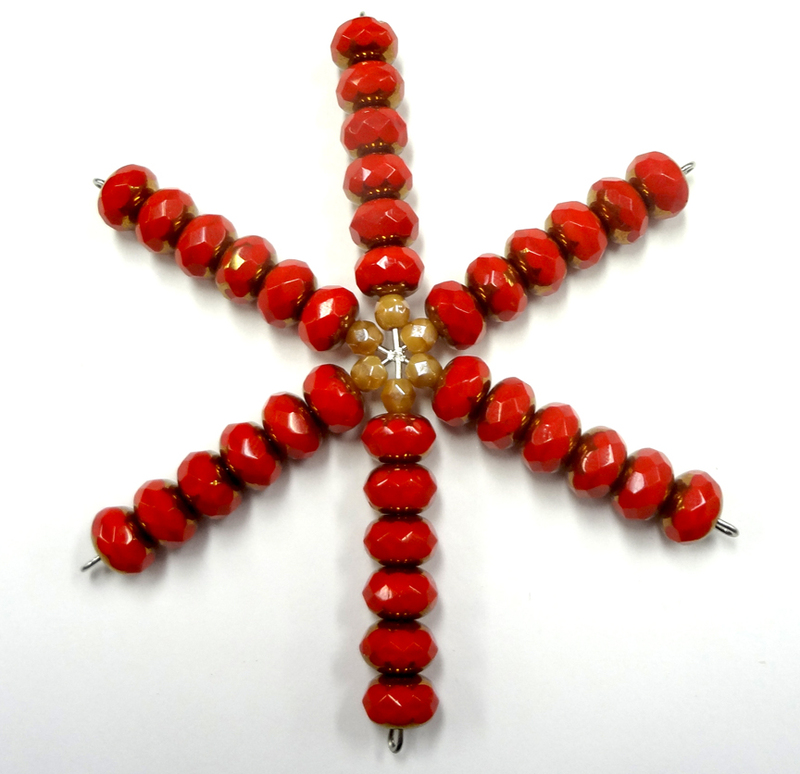 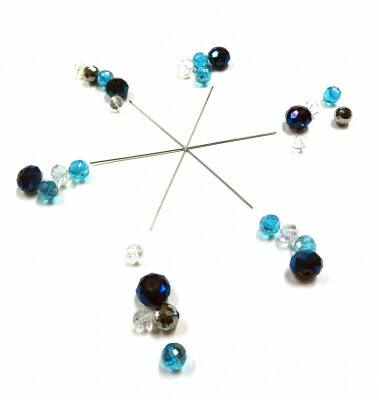 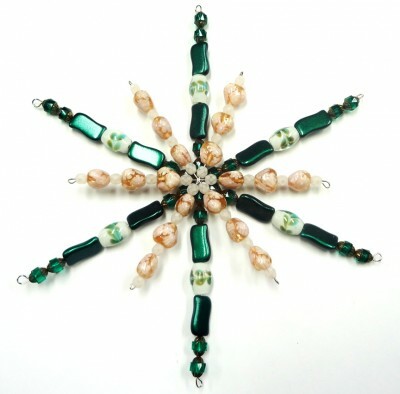 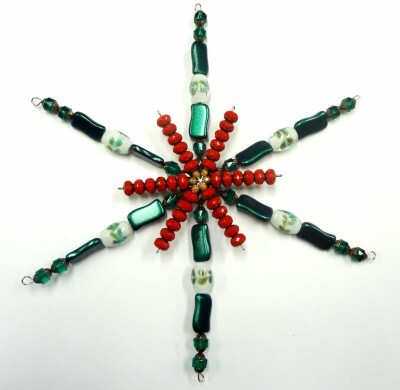 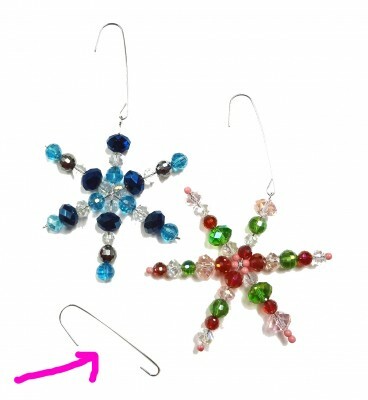 This snowflake ornament is made up of broken jewelry components. 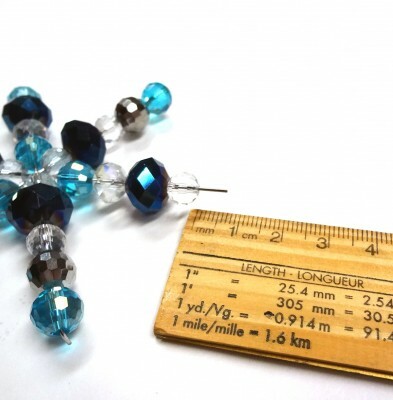 Most of us have a few old and broken pieces of jewelry somewhere in our drawers or jewelry box. 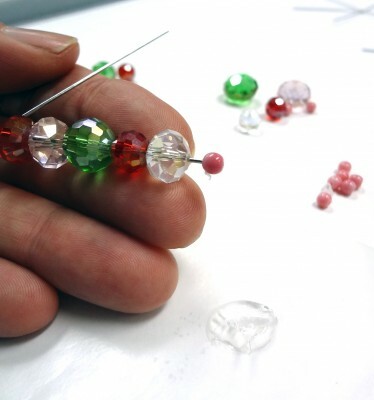 A few of those pieces may even have sentimental value. 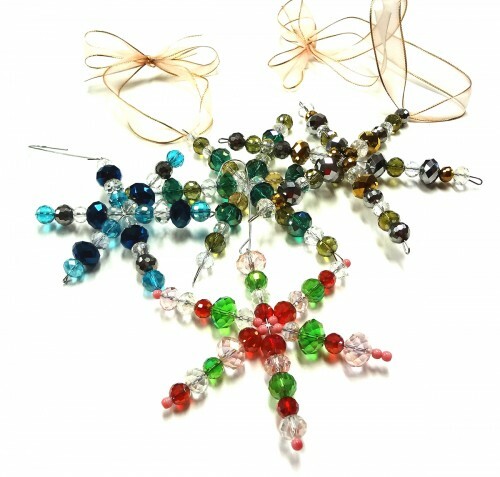 I am taking those old pieces and turning them into ornaments I can enjoy and showcase. 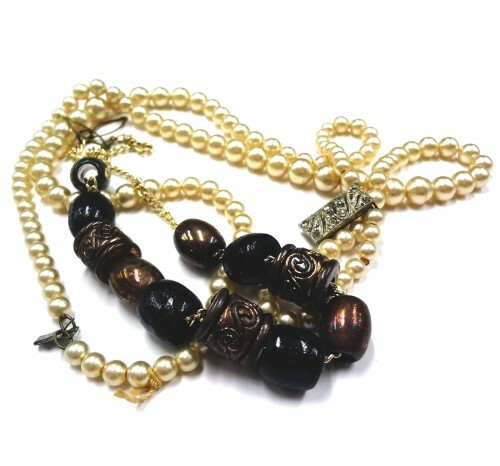 All I need to do is cut the string for this old pearl necklace and I have plenty of beads to work with. 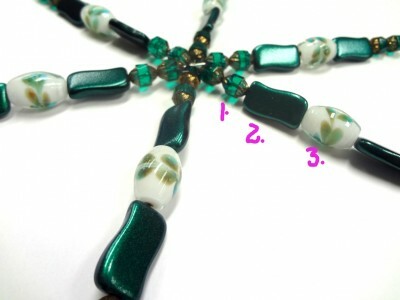 Once I add in the old wood bead necklace, I also have some interesting focal beads. 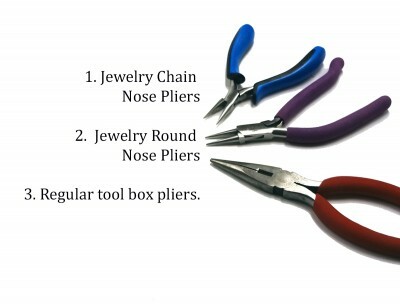 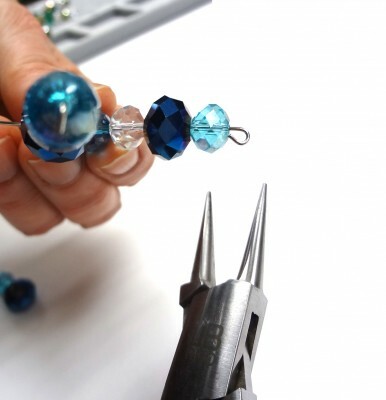 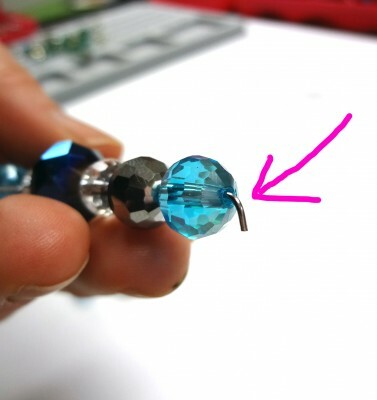 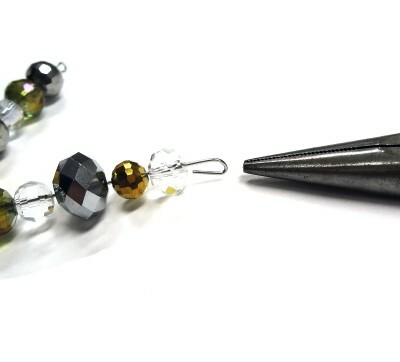 Instead of using a plier to twist each strung wire closed, they pushed an earring back into place. 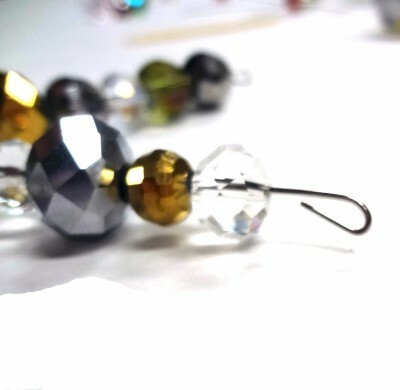 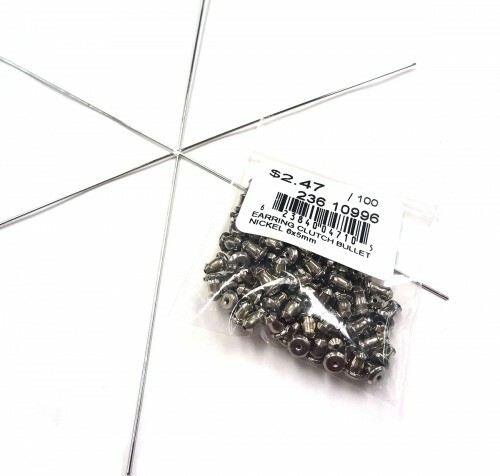 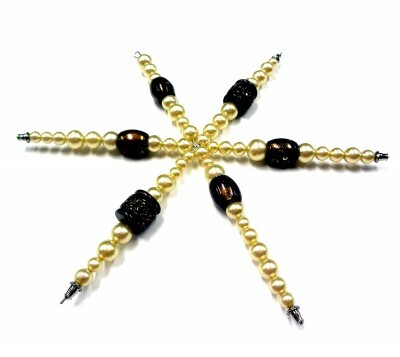 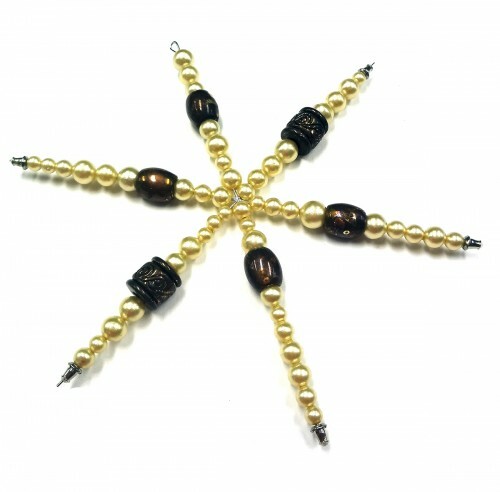 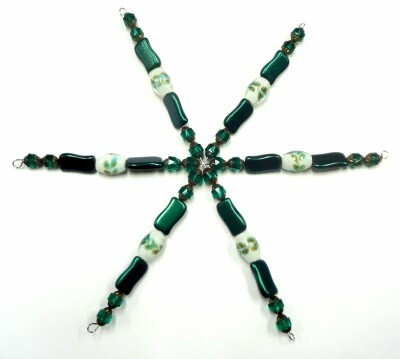 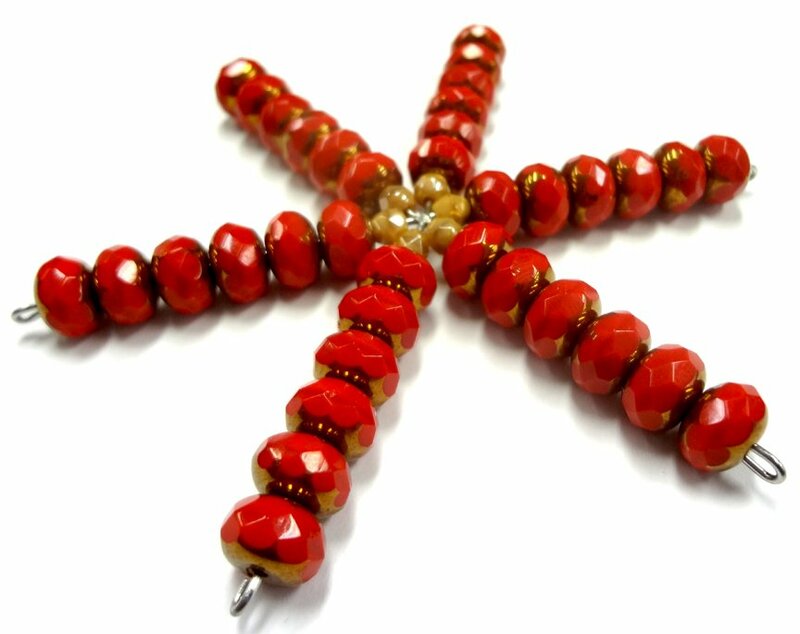 These hold all my beads beautifully and create a professional looking finish. 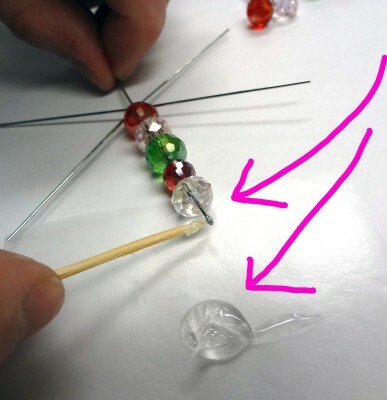 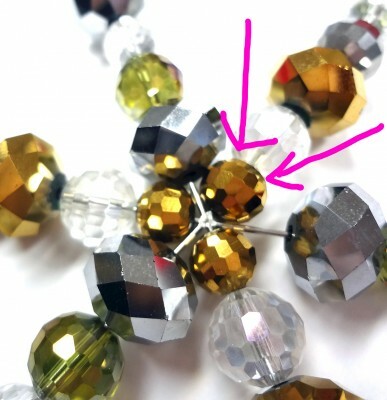 I could permanently glue them, or leave them as is so I can reuse the beads in another project later. 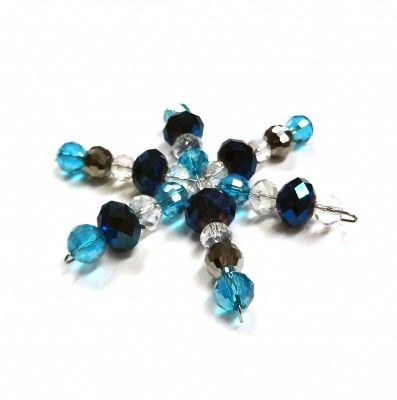 The more you play with these snowflake frames the more ideas you will have. 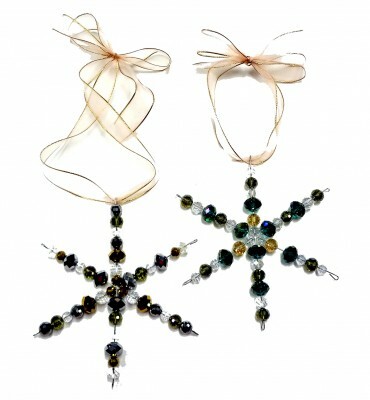 Snowflake frames are available in three sizes. 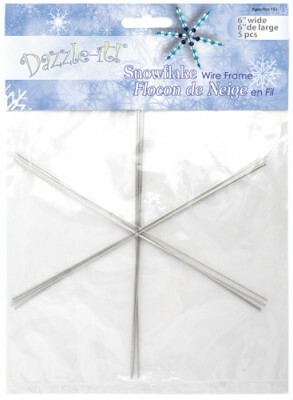 Author Carmi CimicataPosted on November 29, 2012 Categories Dazzle-It Beads, Dazzle-it Snowflake FrameTags Snowflake FramesLeave a comment on Snowflakes You Will Want to See!